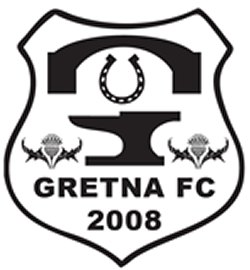 Gretna FC 2008 have announced the line-up for this year's Raydale Cup to run over the weekend of 11th/12th July. As well as Gretna FC 2008, Ayr United, Annan Athletic and Carlisle City will be competing for the Cup. This year’s Raydale Cup will take place on the weekend of Saturday 11th and 12th July. There will be two games each day, the preliminary round on Saturday and the third place play off followed by the final on Sunday. Competing with Gretna FC 2008 for the cup this year will be Ayr United, Annan Athletic and Carlisle City. Scottish League 1 side, Ayr United is competing in the competition for the first time although they have competed at Raydale before. Interestingly Ayr United has never lost a friendly at Raydale, defeating the 1946 side 4-1 in 1963 and the Brooks Mileson side 2-1 in 2007. Formed in 1910, The Honest Men spent 34 seasons in the top flight of Scottish Football. Manager Ian McCall’s side are the top ranked side in the competition and have to start favourites. Local interest comes in the form of Annan Athletic from Scottish League 2. They will be competing on two fronts. 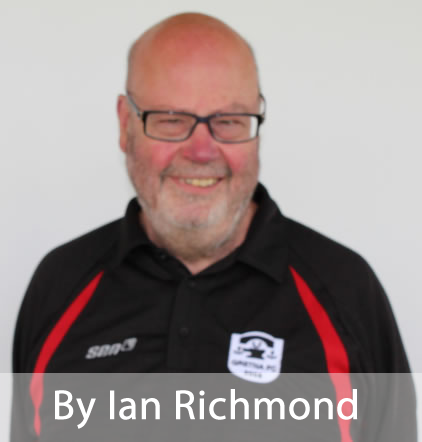 Jim Chapman will be looking to upstage the League 1 side while at the same time renewing local rivalries with Gretna which go back to Carlisle and District league days in the 1950s. Since then the fortunes of the two local sides have been interwoven Annan secured their Scottish League 2 place on the demise of the Brooks Mileson Gretna side. Henry McClelland and his board will yet again be welcome visitors to Raydale, cementing the keen but friendly relationship between the two teams. There will be a Raydale Cup debut for another ambitious local side, Carlisle City. Carlisle City field over 300 players in their 3 senior, 14 boys and 4 girl’s sides. They finished runners up last season in the Northern Alliance League. Marc Shiel, who many Gretna fans will remember, was top scorer in the league. Ryan Errington, Sean Bannon and James Earl are others who have appeared for both sides. The hosts, Gretna FC 2008 go into the break on a high, despite the disappointment of losing their last game, the Cup final. As well as the final spot the club achieved their highest ever finishing position, third in the Lowland League. Manager Stuart Rome has already started the search to strengthen the side with the intention to push on next season. The Raydale Cup was revived in 2013, largely through the efforts of coach, Nikki White. That year, Wrexham lifted the cup, beating Stirling Albion in the final whilst Gretna FC 2008 beat a very young St Mirren side into third place. Stirling Albion returned last year as favourites but lost their first match to Workington. Annan Athletic beat the hosts to set up a closely contested final which went to penalties and a victory for Athletic over the Reds. A feast of football will be on show for local fans with tickets on sale on match day.